Michelle Chaplow is an award winning British freelance photographer based in Andalucía, Southern Spain with 25 years experience in the field and an vast collection of published works, including two books. 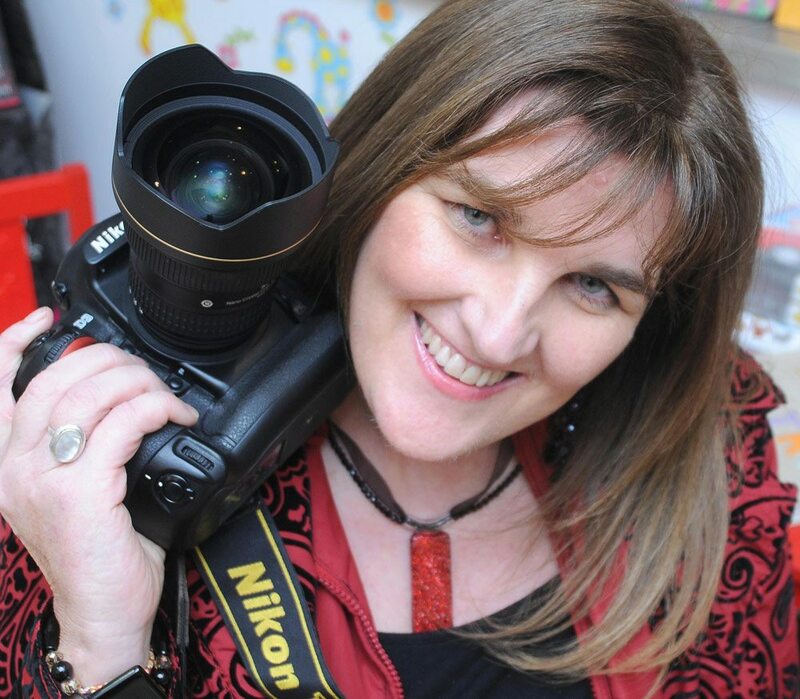 Her specialist subjects include travel, hotel photography and editorial features. She is a member of the Royal Photographic Society of Great Britain and has studied photography at Seville University. Over 100,000 high quality stock images are available from Michelle’s collection. Her images, inspired by her experience of the people, landscapes and history of Spain, capture special moments and little known corners of Spain. Her intimate knowledge of the country, the people and their language give a unique depth and resonance to her photography. Over the last eight years, Michelle has focused her professional life to the photography of luxury hotels, boutique hotels and historic hotels, around the world. With my more hotel assignments in the pipeline, she also has also created two sister websites exclusively dedicated to Hotel Photography. Hotel Photographer and Hotel Essence Photography. in 2015 Michelle started to prepare blog entries on travel and hotels for The Huffington Post USA edition. In 2012 Michelle signed a three-year contract to be an official photographer for the Spanish Parador hotels. Paradores de Turismo de España is a chain of Spanish luxury hotels, founded by King Alfonso XIII of Spain in 1928. These unique hotels, created to encourage tourism, are often in castles, palaces, fortresses, convents, monasteries and other historic buildings. In a series of images inspired by the leading Photography School in Europe, the school of Helsinki, six women were photographed by Michelle Chaplow in six abandoned pools over six months in 2012. The series focuses on visual poetry of the female form, alone with an ongoing process of inner reflection shot with uniform diffused lighting, melancholic body language, and elements of water or the absence of water in a place where water should naturally be. “The Pool of Life” was Michelle’s final project for the diploma course in Specialisation in Contemporary Photography, organised by the CAC Málaga and the Fundación Valentín de Madariaga de Sevilla. The work was projected to an audience at the museum in July 2012. Michelle received seven nominations in the professional categories of the 7th Annual Black and White Spider Awards, the leading international award honouring excellence in black and white photography. In 2011 and 2001, Michelle received three nominations, two in architecture and the third in the category, people. “The Science park in Valencia”, “Lines and Triangles” and ” Angelica La Palenquera”. Photography Masters Cup is the leading international award honoring color photography. In 2010 Michelle established, Hotel Essence Photography, specializing in fine photography for luxury hotels. Michelle states that “In the hospitality industry of today, images that simply depict a hotel’s specific amenities and architecture are not enough. The global traveller wants more – images that reveal the intrinsic qualities of a hotel showing what it actually feels like to be a guest”. hotelessencephotography.com has one aim, to capture the very essence of the hotel in such a way that the viewer feels compelled to say, “take me there!”. The team behind Michelle includes, assistants, stylists, production, digital post production and journalists. Michelle has contributed since 2008 on several publications for The Most Famous Hotels of the World® This organization, documents hotels with over 50 years of history in the hospitality industry and includes some of the most famous hotel establishments in the world. 2008 saw the launch of A new Tapas book “A bite of Spain” Michelle was commissioned to carryout the photography, the project took 10 months to complete and involved both studio and location photography, throughout Spain. Michelle Chaplow participated in Seville’s 2008 Flamenco Photography Exhibition. Spanish National Television, TVE, interviewed her as part of coverage of the event. Among her featured entries was an image of flamenco feet in complex motion that has been published in a National Geographic Travel Guide for Spain. 2006 Michelle Chaplow inaugurated her state of the art purpose built photographic studio. The picture on the right shows Michelle with King Juan Carlos and Queen Sofia of Spain at the Zarzuela Palace – Madrid at the end of her photographic assignment for the Washington Library of Congress. Michelle held her first one man exhibition “Visions of Andalucia”. David Clarke Head of Tate photography, London wrote “A beautiful exhibition, which really captures the essence of Spain”. In 2001 Michelle was awarded an honorary mention in the «Ortiz Echagüe» prize from the Spanish Ministry of Tourism and commerce. The honorary mention related to her work in the field of photography promoting Spanish Tourism. (BOE Reference 031 5/02/2001 Sec 3 page 4336) Ortiz Echagüe was one of the first modern Spanish icon Photographers.